A few weeks ago I had a lot of people calling and asking about the Radio Ink article suggesting the sale of Disney’s radio station in favor of the Internet. Did it really mean the beginning of the end for radio? Does Disney know something we don’t? I countered with some questions. 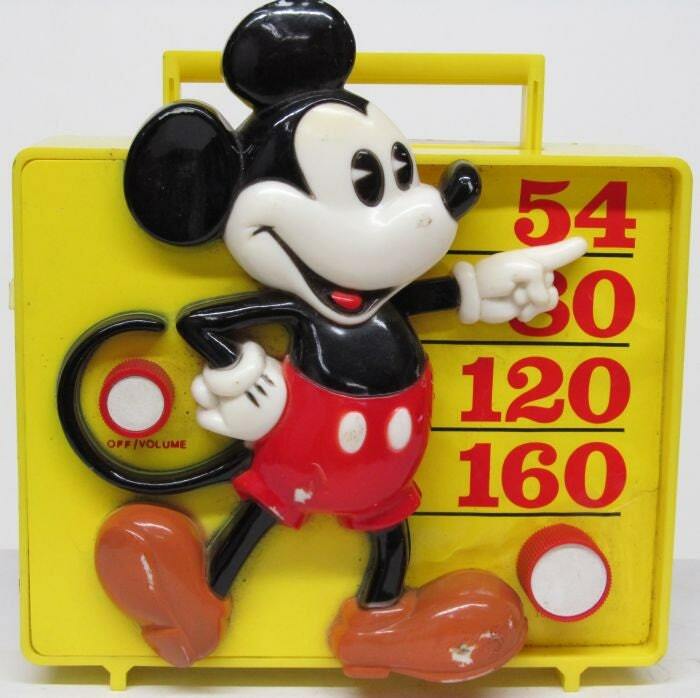 First, how many stations does Disney Radio have? Answer 23. How many of them are FM? Answer: 1. 22 of their stations are on the AM band. In many markets there are AM station that have less traffic than the police band. That they shifted from those AM radio stations to the Internet makes all the sense in the world, because the Internet – in it’s many forms – is growing more than AM radio. It’s bad enough that you’re anxious about what other people say. Don’t let fear prompted by other people control your future. If another radio person tells me social media and Web 2.0 have no future because they can’t be monetized, I may have this David Sarnoff quote tattooed on my forehead. The radio industry itself began in the early 1900’s with a maverick group of people who focused on content, knowing they’d find a way to make it commercially viable. Unfortunately, you can’t create powerful content by laying off the creative people. All we’ve done with eliminating airstaff and PD’s is reduced the creative gene pool. We have good, creative people left, but they’re often without the tools to be creative. Hard to brainstorm and invent when you’re overseeing five stations and voice tracking three. So now we turn to new technology as our saviour, a technology driven by frequently updated, compelling content. What’s wrong with this picture? Hey guys at the top, have you really looked at our history over the past 10 years? Do you really understand that creativity is what drove radio to it’s success, and that your ignorance of it is what’s hurting it? Can you finally admit that creativity can’t be programmed into a spreadsheet, and that it’s sometimes odd and messy? Compelling radio does send a message, but instead of no one, it’s sent to millions every moment. When we treat them right listeners do respond, and the message is relevant, relatable, and welcomed. When we ignore them they don’t pay attention and look for alternate media to invest their time with. Time for a choice. Can we see the problem we now face is of our own doing, and undo it? Or are we going to ride the entire industry into the ground? Steve Jobs said something like that in his commencement speech at Stanford that you can find online. Just a passing comment among his three points for life. Only the most fearful would doubt the inevitability of death and change. Fear of change leads us to deny it, reject it, and be blind to it. That blindness is one of the two reasons commercial radio is in so much trouble right now. Notice I say commercial radio, because some forms of non-commercial radio are doing very well right now. Non-commercial radio avoided one trap because there was no place for Wall Street radio, and the greed that accompanies it. Even more, they’ve avoided being run by the the unfeeling, clinical bean counters. But wait, that’s not the point – that we need to embrace change, not reject or ignore it. What if I suggested that right now is one of the most exciting and innovative times for radio? Start with the premise that radio has always been the single most intimate, personal medium. We’ve all heard listeners say radio keeps them company and is their friend. We’ve seen times in the past when listeners were proud and excited to show their affiliation through window stickers. We’ve spent endless time and dollars trying to figure out what songs the listeners wanted to hear the most. The reason I think we can have an exciting future is because we now have the technology to be as personal and consumer focused as many of us have wanted to be. If we can overcome the modern-day robber barons in charge of corporate radio, and can embrace technology we can continue to succeed, and maybe even grow as an industry. If we can see how social media and web 2.0 are a natural fit to integrate with radio, and work on using technology to give more control of programming to the listeners, we can rebuild. I don’t like making predictions, but here’s one I’ll venture. The Wall Street radio types are headed to disaster. They’ve built such a high debt ratio only a miracle can save them. Lenders are beginning to see the failure of that kind of radio, and aren’t inclined to continue to fund failure. When the broadcasters seek bankruptcy, the lenders are likely to reject it and break apart the big companies and sell of the assets for whatever little they can get. That opens opportunity for radio to grow again. I was really happy to see Larry Wilson jump back in, paying cash, in Portland. Larry’s always been a bit of a rebel, a real cowboy, and is the kind of person who will put his heart and soul into radio. If we can combine that leadership style with adaption and integration of change, we can grow. Everything we need is on the table, and the only question is whether we’ll grab the brass ring and do something with it.